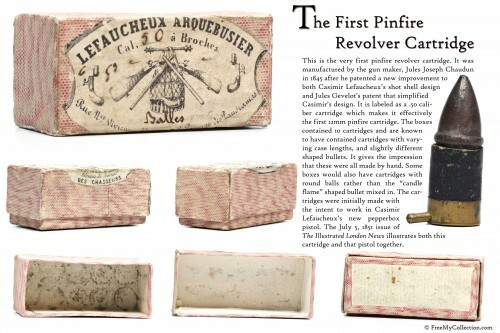 This is the very first pinfire revolver cartridge. 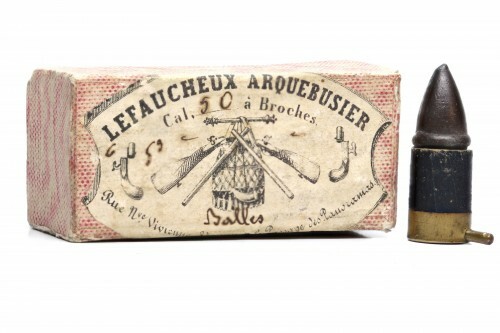 It was manufactured by the gun maker, Jules Joseph Chaudun, in 1845 after he patented a new improvement to both Casimir Lefaucheux’s shot shell design and Jules Gévelot’s patent that simplified Casimir’s design. It is labeled as a .50 caliber cartridge which makes it effectively the first 12mm pinfire cartridge. The boxes contained 10 cartridges and are known to have contained cartridges with varying case lengths, and slightly different shaped bullets. It gives the impression that these were all made by hand. Some boxes would also have cartridges with round balls rather than the “candle flame” shaped bullet mixed in. The cartridges were initially made with the intent to work in Casimir Lefaucheux’s new pepperbox pistol. 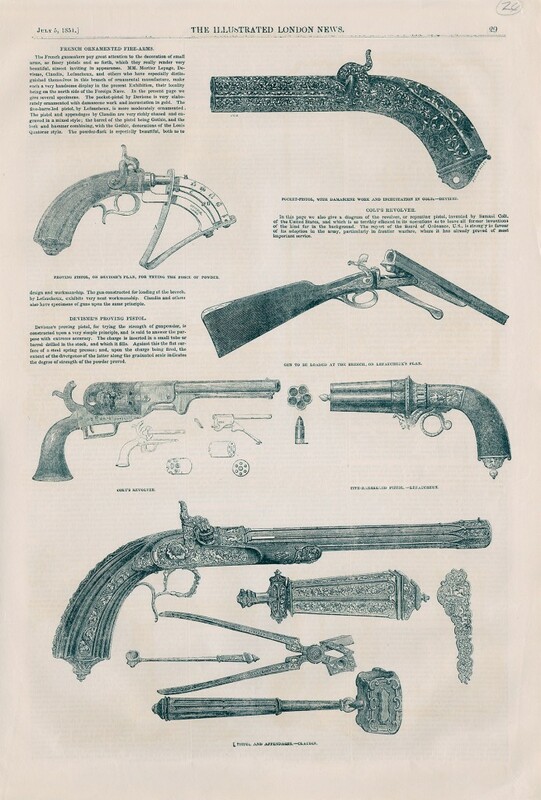 The July 5, 1851 issue of The Illustrated London News illustrates both this cartridge and that pistol together.